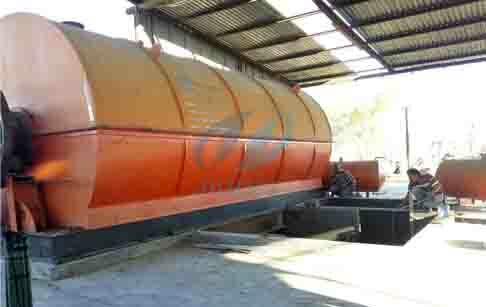 The tyre pyrolysis plant adopts the new green pyrolysis technology. 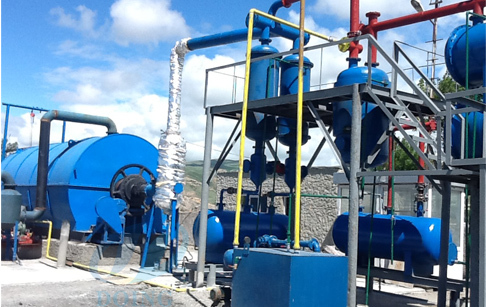 Through the use of the tyre pyrolysis oil plant, waste tyres can be effectively converted to fuel oil, carbon black and steel wire. 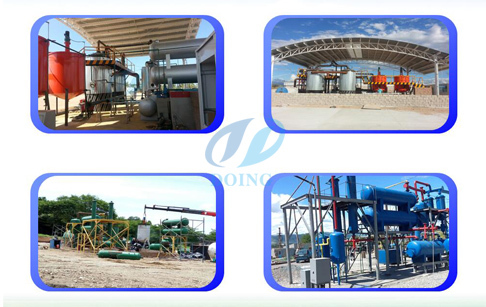 The oil from tyres pyrolysis plant can be widely used as fuel oil in industries such as steel and iron and boiler factories, ceramics, power or chemical industries etc. And it can be used for generators to get electricity. 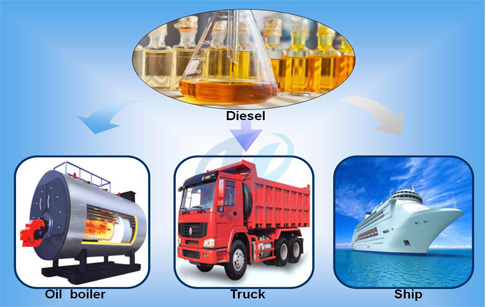 Doing tyre oil refining process plant can treat a variety of waste engine oil, waste tyre pyrolysis oil and waste plastic pyrolysis oil and get high quality diesel oil. 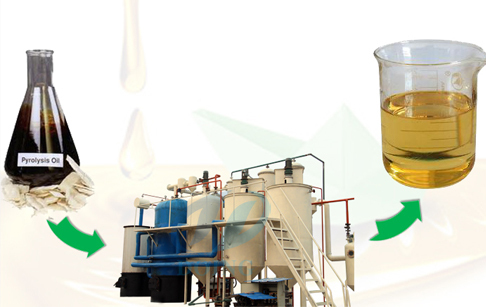 The diesel oil got from this plant in high quality and can be used for tractors, trucks, generators, boilers, agricultural vehicles etc. 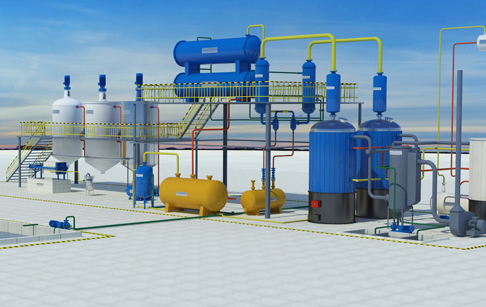 The oil output of tyre oil refining process plant is about 85%, the rest includes 10% bitumen and 5% excess gas. The excess gas will recycle to furnace as the auxiliary heating fuel. 4. 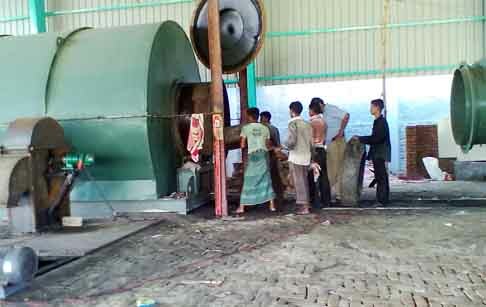 Get good quality diesel. 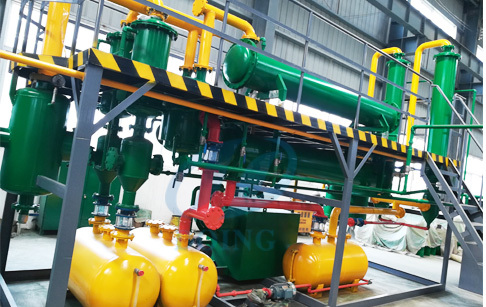 Doing tyre oil refining process plant is the latest technology in China pyrolysis industry, we refreshed the design to save heating time and increase oil yield. 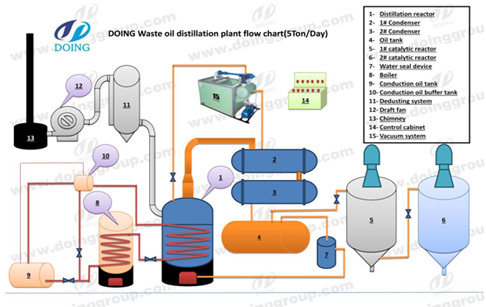 If you wanna to get more details about Tyre oil refining process plant you can send E-mail to market@doinggroup.com. You can consult our professional engineer and specialized sales team with leave a message in below form.We will contact with you ASAP.You also can visit our factory in Henan,China.Get Detailed address.